I have an 11-year-old above ground pool in good shape except the plastic post caps are breaking. They are a 2-piece cap which hooks over the front edge of the 5-6" rail then screws onto the vertical post. The 2 pieces have 2 screws to attach the 2 halves and 1 screw at the bottom of the bottom half that screws to the upright post. They have a part number 13348, and say made in USA. I would need about 25 of these. Hi Dean. I will include a couple links to the only two parts stores I know of. Maybe you will find what you need or something close enough that might work. 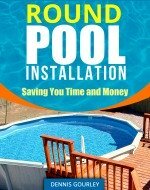 Here is more reading about finding pool parts. Aqua Pools in Bedford VA carries part # 13348 and 13637 for $10.99 each. I have checked your information and actually it is Aqua Pros in Bedford, Va thanks sooo much for the information. Oh and for those that may need it their phone number is (540) 586-8364. Aqua Pros in facts carries these top caps. Please call them, they can get as many as you need!!!! I have worked here @ AquaPros for 12 years and we CAN NOT get the top caps. I have had several people contact us for these and it is a waste of time. Sorry. Happy Hunting. I need these also!! My pool is a Vogue Iliad....plz let me know anyone!! They are the 6" standard and are about $10 total for top and bottom pieces. I have an Above ground pool 24" round and the rails and caps need replaced they are resin and I'm missing a lot of them (caps). It's a fold over liner! Can I buy any kind of top rail and cap? i don't remember what kind of pool it is! I've had the pool for 15-16 years! please help want to update! I bought new pump and stairs and liner and sand filter!